Business Method Patents: A Solution? I have been particularly critical of the whole notion of business method patents. Every patent is part of a business and any method patent is therefore broadly speaking a business method patent. The first patent issued in the US was a method of making potash. Since making potash is/was a business the very first patent issued in the US was a business method patent. The people who argue against business method patents have failed to provide a consistent, clear definition of what they mean. I have also defined an invention as a human creation with an objective result, while art is a human creation with a subjective result. By objective result I mean that the invention has a repeatable result. For instance, a patent for an incandescent light bulb always produces light when the correct electrical signal is applied to the light bulb. Just because a person performs one of the steps in a claim does not make it invalid. For instance, in the patent for the method of making potash a person performed many if not all the steps. However, if the person is making a non-objective evaluation or decision as part of the method, then the process does not have a repeatable or objective result. 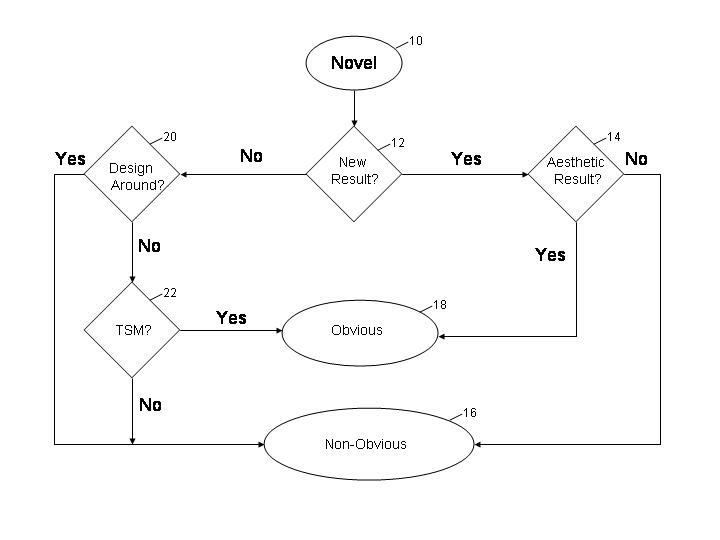 This is why most management theories are not patentable. For instance, the popular SWOT (Strengths, Weakness, Opportunities, Threats) analysis relies on experts to define each of these points. If you put different experts into the process then you get a different result. On the other hand double entry accounting yields the same results no matter who is performing the process (as long as they apply it correctly), so it has an objective or repeatable result. 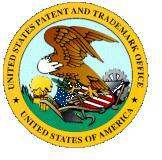 Using this standard I have found that a number of ‘business method’ patents that are invalid. These patents rely on the use of subject matter experts to evaluate something and then provide input in the middle of a process. This does not result in an objective, repeatable result. Now if these experts’ subjective opinions are at the beginning of a process, then this may still provide an objective result. 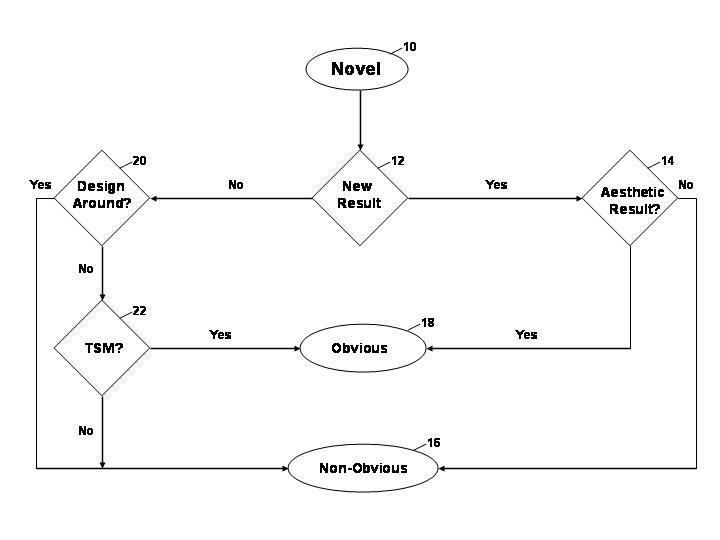 For instance, if the SMEs provide a subjective 1-10 evaluation of certain Strengths in a SWOT analysis and the invention then processes these to determine the mean or rank them is some way, then this is an invention, because if the process receives the same inputs it will provide the same output, i.e, it is repeatable and objective. Alternatively, if the SMEs are provided with processed information at the end of the process, then this is an invention. Patents are private property, they are owned by private individuals and the statute says they have attributes of personal property. The Myriad decision is not just relevant to Myriad but thousands of patents. It was a long established policy of the Patent Office to issue patents to isolated strands of DNA. This decision changes that policy and invalidates these patents, which eliminates the patent holders’ property rights. There was not compensation, so the question is whether this is a public use? People often state that patent right revert to the public, but of course what really happens is there are no rights in the invention. The situation is roughly analogous to the EPA regulating that no building can occur on wetlands. Governmental land-use regulations that deny the property owner any economically viable use are deemed a taking of the affected property. See, e.g., Lucas v. South Carolina Coastal Council, 505 U.S. 1003 (1982), First English Evangelical Lutheran Church v. County of Los Angeles (1987). Here the Supreme Court has denied a group of patent holders and economically viable use of their property. These sort of broad policy changes by the courts are clearly unfair to patent owners. The patent owner who applied for a patent when it was the clear policy of the Patent Office to allow patents on isolated strands of DNA has not done anything wrong. If the policy had been different then they might of structured their claims to their patent differently or invested their efforts in other areas of invention. At the least the aggrieved patent holders should have a right to a reexamination that allows them to introduce new claims based on the Myriad decision. Periodically, the PTO decides they need a more aggressive (more European) approach to restrictions. This practice not only fails to follow the law but it is an attempt to use restriction practice to limit the applicant’s right to define their invention. In other words, it is a backhanded way of limiting invention under 35 USC 101 or 35 USC 103. (B) There *>would< be a serious burden on the examiner if restriction is >not< required (see MPEP § 803.02, **> § 808<, and § 808.02). If two or more independent and distinct inventions are claimed in one application, the Director may require the application to be restricted to one of the inventions. If the other invention is made the subject of a divisional application which complies with the requirements of section 120 of this title it shall be entitled to the benefit of the filing date of the original application. A patent issuing on an application with respect to which a requirement for restriction under this section has been made, or on an application filed as a result of such a requirement, shall not be used as a reference either in the Patent and Trademark Office or in the courts against a divisional application or against the original application or any patent issued on either of them, if the divisional application is filed before the issuance of the patent on the other application. If a divisional application is directed solely to subject matter described and claimed in the original application as filed, the Director may dispense with signing and execution by the inventor. The validity of a patent shall not be questioned for failure of the Director to require the application to be restricted to one invention. Why does the MPEP change “independent and distinct” to “independent or distinct?” It appears the Patent Office’s is not following the law and attempting to make it easier to require a restriction. The term “independent” (i.e., **>unrelated<) means that there is no disclosed relationship between the two or more inventions claimed, that is, they are unconnected in design, operation, and effect. Related inventions are distinct if the inventions as claimed are not connected in at least one of design, operation, or effect. From the above it is clear that “distinct” casts the widest net. I will note the MPEP suggests that the case law on point does not always use the above definition. The important thing to remember is that we are talking about the inventions as claimed. Thus, if any set of claims incorporates both inventions, they are clearly connected by design, operation or effect. The Patent Office when issue a restriction requirement often asserts the combination/sub-combination rule to argue that two inventions in an application are distinct. However, this rule is still based on how the combination/subcombination are claimed and requires the PTO show that it would be a serious burden if the restriction were not upheld. Unfortunately, the PTO often ignores the “claimed” requirement for distinct inventions. If the PTO is allowed to do this it arbitrarily limits what the applicant can claim as their invention. Every invention is a combination of known elements (conservation of matter and energy) and when the PTO incorrectly limits which subcombinations the inventor can claim, they limit the right of the inventor to define what their invention is. This has the same effect as limiting what the inventor can claim under 35 USC 101 or 35 USC 103. From a practical point of view this arises when a subsequent Office Action rejects the claims based on certain prior art and the applicant then wants to modify their claims to incorporate the features of one of the subcombinations. The PTO disallows this amendment by suggesting the applicant has not selected that subcombination. This practice is wrong, illegal, denies the applicant of due process, and denies the applicant’s right to define their invention. I have a patent case that appeared to be going nowhere and a client who did not want to wait for the appeal process. As a result, we decided to try the Ombudsman Program. The facts are that we had filed four separate responses (one RCE) and had three telephone interviews in this case. We also filed a Notice of Appeal with a Pre-Appeal Brief. The case was reopened after the Pre-Appeal Conference. The inventor is highly educated and well respected in the area of technology of the invention. The inventor has several other patents in this area of technology and is over 65 so we filed a Petition to Make Special. The company is a typical start-up that is looking to raise additional financing in order bring the invention to the market. Having an issued patent would provide a huge boost to their fund raising efforts. This funding would provide jobs and the technology will save billions of dollars a year to the U.S. economy. This is exactly the sort of company that drives employment in the U.S. according to the Kauffman foundation. Their study showed that all net new jobs in the U.S. are created by new companies – to see the study click here. High paying, high quality jobs are mainly created by companies with new technology. I was concerned that the Ombudsman Program may not be able to help me, since it is clear that it is not designed to circumvent the normal examination process. The essence of the problem was failure to follow the requirements for compact prosecution. In the first telephone interview, I explained that our technology was able to cut a channel in the substance without creating enough heat to change the state of the material surrounding the channel. All the prior art not only generates enough heat to change the state of the material it is a goal of the prior art to generate this heat and cause the change in the state of the material. During the first telephone interview, the Examiner and the SPE told me the claims were just TOO BROAD. Of course, no such rejection exists under the law and the Ombudsman program should be able to deal with this issue. While Jon Dudas may have thought this was valid rejection, he was not a patent attorney and his ignorance of patent law and technology would fill whole libraries. In an attempt to work with the Examiner, I added additional structure to the claims. Some of this structure made it even more clear that we were not heating the material and changing its state. I was told that the changes looked good and it was likely we would receive a Notice of Allowance, but they could not make any promises. The next Office Action cited a new reference that again purposely generated enough heat to change the state of the material. This process was repeated three times. This sort of switch and bait process where the applicant amends the claims based on an interview to only be shot down in the next Office Action became standard under the Dudas’ regime. In many cases, the only reason the applicant agreed to the amendment was to obtain allowance, not because they agreed with the Examiner. These amendments to the claims should be considered contingent on allowance. Otherwise they should be withdrawn. Only once was a prior art reference not in the category of purposefully generating heat while cutting to change the state of the material, but it was even more irrelevant to the invention. Then we filed a Notice of Appeal with a request for a Pre-Appeal Conference. The result of the Conference was to reopen prosecution with another reference that again purposely generated enough heat to change the state of the material. That was when we decided to try the Ombudsman Program. I sent my issue into the Ombudsman form and was quickly contacted by an Ombudsman. Our telephone conversation was very cordial and they said that they would contact the SPE. This process took awhile because it was around the holidays. Eventually, I received a call from the SPE. The SPE has not reviewed the case, they had no idea of the issues involved, and instead of listening to me they quickly starting arguing about the case. The SPE even went so far as to call our invention “MAGICAL” because the claims state that we generate essentially no heat during the cutting process. This was not only rude it is wrong. I have a MS in physics and I clearly understand that any frictional engagement is going to generate heat. However, we have viewed this procedure with an infrared camera with sensitivities down to 1/10th a degree and the surrounding material does not appear to heat up at all. The phrase about generating essentially no heat is clearly true and is in context of the prior art which generates enough heat to change the state of the material. In order to change the state of the material it must be heated around 32 degrees Celsius above its standard operating temperature. The most likely reason we do not generate any measurable amount of heat in the cutting operation is that the cutting tool starts at ambient room temperature, which is below the operating temperature of the material being cut, and the material is relatively soft so the cutting process takes very little time and does generate much frictional heat. In the end, all I got was another useless interview the SPE. I could have done this without contacting the Ombudsman. Conclusion – Is it worth it to use the Ombudsman Program? 1) It is possible I asked too much of the Ombudsman Program, but I should have told this in the initial conversation with the Ombudsman. 2) The Ombudsman program should be able to at least demand that Examiner and SPE comply with the requirements for compact prosecution. This is a procedural issue which is the type of issues the Ombudsman Program is suppose to deal with. It is also a huge problem with Examiners trained under the Dudas’ regime. The Ombudsman should be able to demand that the Examiner and SPE clearly explain why they keep citing new art with each new Office Action. If the Examiner and SPE cannot explain this to the satisfaction of the Ombudsman, the Ombudsman should have the authority to demand that no new art be introduced in the case. Note that the excuse by Examiners and SPEs that changes to the claims required an additional search is usually not valid. The Examiner is suppose to perform their search based on the specification, not the claims. None of the changes to the claims in this case in anyway change the basic thrust of the invention. 3) I have another case where an Office Action after the Appeal has raised the same issues that were decided on Appeal. This would be a perfect case for the Ombudsman program to demand the Examiner and SPE comply with the law and not reargue issues already decided, but based on my present experience I doubt I will contact the Ombudsman program. 4) It would be nice for the PTO or anyone reading this to post any successes they have had with the Ombudsman Program so that we all know what issues they are capable of solving. This is the first time since 2003 that the allowance rate has increased. For a historical graph see Patent Allowance Rate Falls (Again). This is excellent news and shows that David Kappos, Director of the Patent Office, has started to reverse the economically disastrous policies of Jon Dudas. The more realistic allowance rate that ignores RCE (Requests for Continued Examination) is 61.1%. The USPTO now has a Data Visualization Center, shows the allowance rate and well as a number of other useful metrics updated monthly. Another important metric is total pendency time (traditional) which stands at 35.4 months. This means that if you file a patent application, on average it will take almost three years for it issue. Another interesting metric is actions per disposal. This is the number of Office Actions the average application receives before it is allowed, abandoned, or appealed. This has declined to 2.42. The total number of actions that an applicant has to endure is particularly important for small entities and independent inventors. However, this number does not include appeals. I have had clients that have gone through numerous appeals without any resolution of the issues in the last eight years. The absurd treatment of these clients’ patent applications would not be captured by this metric.